If you are one of the many who have been waiting patiently for Urban Stove's next round of orders, let me tell you this. They are having their pre-launch tomorrow! Yes, TOMORROW, 12 August 2015!!! Your wait is finally over. 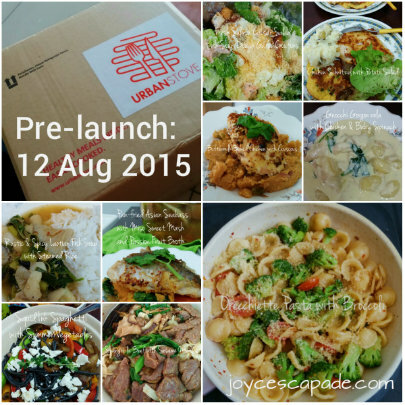 For those who are new, Urban Stove is a food delivery service that delivers ready-to-cook meals. Their aim is that you can cook healthy restaurant-grade dinners in just 30 minutes by providing fresh pre-portioned ingredients right to your doorstep! Stay tuned for my next post on 16 August 2015. There will be freebies! Great product, Joyce! I enjoyed watching the video and see the convenience of this product. Like the fact that you can cook a nice and professional meal so easily at home. Yup, perfect for busy people who still want to cook.